Unicorn Poo Pie For Gypsy Fairy Gardens. 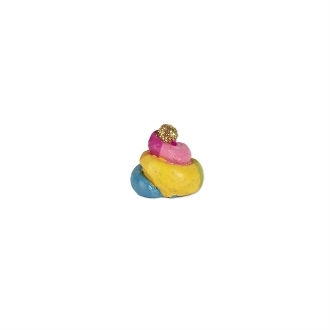 Full Description: Proof that unicorns really do exist, this magical unicorn poop is a swirl of color with glitter on top. Features all-weather paint. Made of resin.